A career in digital. Your path to a brighter future. Join Accenture Digital and grow your career in entirely new ways. Analytics reveal hidden opportunities. For our clients―and your career. Today, digital can transform every aspect of a company. Now every business is a digital business. Our industry expertise, coupled with our integrated digital capabilities across interactive, analytics and mobility, help our clients take advantage of the opportunity to innovate and compete. Which means their companies - and your career - will see tangible results from the virtual world. Bring your talent and passion to Accenture. Make an impact with a career in Mobility, Interactive or Analytics. Digital has changed everything—and smart products, mobile devices and apps have been key driving forces in the disruptive effects of technology. Get involved and experience how we create a digital future for businesses and governments. Find out if you've got what it takes to make an impact on the world with a career at Accenture Digital. 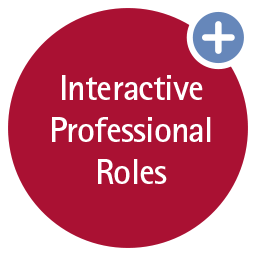 Find the role for you! Find open positions at Accenture that are best suited for you. Find out more about roles, the experience, and Accenture Digital at large. Mobile experts are responsible for designing, developing, testing and implementing applications across a wide range of industries and platforms, including Android™, Apple® iOS, Blackberry®, Linux, Meego™, Symbian, Windows® Phone and Windows 8. Our high-performing team helps clients leverage mobility to connect with customers, employees, businesses and machines on web-enabled devices of every kind. As a mobile expert, you will play a vital role in bringing mobility solutions to some of the world's most respected brands, companies, and governments. Working with a global team, you will bring solutions to life across over 40 industries in more than 120 countries. Be part of our high-performing team in Accenture Digital and work alongside the industry’s best technical architects, digital marketers, E-Commerce gurus, industrial internet experts and data scientists. Unleash the power of digital and help grow businesses in entirely new ways. Interactive professionals are responsible for providing end-to-end capabilities needed to produce, deliver, manage, track and optimize marketing content cost effectively across channels. With our team comprised of high performing Interactive professionals, we help businesses accelerate their digital journey towards agile intelligent marketing. As an Interactive professional, you will play a vital role in integrating digital innovation into every aspect of the business, including people, processes and technologies for some of the world's leading organizations, governments, and brands. Working with a global team, you will bring solutions to life across over 40 industries in more than 120 countries. Join us and you'll be working alongside digital marketers, E-Commerce gurus, industrial internet experts, big data specialists, and data scientists—together unleashing the power of digital to drive growth, create new sources of value and transform businesses. Big data specialists are responsible for the design and implementation of complete big data solutions, including data acquisition, storage, transformation, and analysis. Our team brings a solid understanding of the infrastructure, planning, scaling, and administration considerations required to unleash the most value from big data. As a big data specialist, you will play a vital role in bringing analytic solutions to some of the world's most respected brands, companies, and governments. Working with a global team, you will bring solutions to life across over 40 industries in more than 120 countries. Accenture Digital is where many of the brightest and best digital talent grow their careers. You'll have the chance to work alongside technical architects, digital marketers, e-commerce gurus, industrial internet experts, and data scientists—together unleashing the power of digital to drive growth, create new sources of value and transform businesses. Your dream job might be just a few clicks away! Here are some quick and easy tips on how you can take full advantage of the various social media platforms. Your dreams and aspirations can take you places. Ever dreamed of working abroad? Meet Mike and Ekky, Senior Managers at Accenture Technology who worked in Chicago for 2 years through Accenture's Global Careers Program. Our employees know just the right inspirational things to say. Ambe Tierro (Senior Managing Director, Accenture Technology) looks back and gives career advice to her 25-year old self. Hear the latest Accenture news, career opportunities and events by connecting with us. Subscribe to our monthly newsletter by joining the Accenture Talent Connection, a global network for professionals and get the latest news, career opportunities and stories from us. Keep in touch! For questions or concerns, email us at digitalcareers@accenture.com. Learn about our latest reports, articles and case studies.